I have to admit, I’m kind of excited to be putting my “old clothes” on today and teaching about real estate investing. I love where my life has taken me… And this his how it all started. There is just something about helping people secure a “Retirement worth having.” that gets my juices flowing. I am holding a class, along with Matt Braswell, titled Working With Real Estate Investors. If you are a real estate agent and you follow along on this blog, feel free to attend. November 30th, 2017 1:00 – 2:00 pm in Olathe, Kansas. If you are looking to buy or sell real estate in the great state of Kansas in 2018 you may wish to watch this 3:44 minute video provided by Wichita State University. Over on my real estate training blog for real estate agents I did a video on 1031 Tax Deferred Exchanges. Therefore, I thought I would write this very short blog to link to that text if you wanted to take a look. Just hit the highlighted link. Here in Kansas City real estate investment property is stupidly over-priced in so many cases. 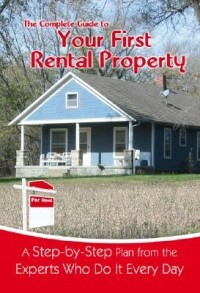 We are keeping our eyes out for suitably priced rental property. However, picking are slim. Otherwise, sit back and stock cash.